I began my writing career as a poet and still write the occasional poem. 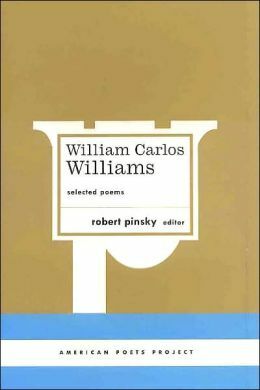 The book of poetry that had the most profound impact on both my poetry and my fiction writing was William Carlos Williams Selected Poems. If I had to choose one poem to illustrate why his work influenced my love of writing, it would be “Spring and All,” which begins “By the road to the contagious hospital/under the surge of the blue/mottled clouds driven from the/ northeast—a cold wind.” The simplicity of his language, his use of the rhythms of everyday speech, his painterly eye, and the precision of his imagery are elements I strive for in my own writing. The Complete Short Stories of Ernest Hemingway is a primer in fiction writing. I’ve returned to his stories again and again when I needed to recharge my writing. His masterful dialogue, both what’s said and what’s not said, his clean, lean prose, honed of all excess, and his cubist way of describing a scene, inspired my own prose style and offered me a way to transition from writing poetry to writing fiction. One of my favorite stories is “Big Two-Hearted River, Part 1.” The story never directly mentions Nick’s wartime experience but everything he does and everything he notices, from the ruined town, to the black grasshoppers, to the pine trees to the river, to the meticulous descriptions of fishing and cooking and camping reveals Nick’s inner trauma and his efforts to heal. A friend gave me a copy of Indemnity Only by Sarah Paretsky and told she thought I’d like this “tough lady” detective, V. I. Washawski. At the time I was tossing around the notion that I might try writing a mystery. I wasn’t interested in writing a police procedural or a Miss Marple cozy-type mystery.Indemnity Only showed me another way to write a mystery with a strong, smart-alecky, female protagonist, and with an intricate plot rift with twists and turns. My series character Leigh Girard owes much to Paretsky’s V. I. Washawski. Sense of place figures prominently in my mysteries and I credit Tony Hillerman’s Jim Chee and Joe Leaphorn mysteries for illustrating how to suggest the essence of place without long and tedious descriptions. If I had to choose one of Hillerman’s books, it would be People of Darkness. In this book Hillerman introduces Jim Chee, who is my favorite of the two detectives, mainly because of his conflict between his desire to live by traditional Navajo culture and his duty as a police officer. The book also contains a memorable villain, the professional assassin, Cotton Wolf. The complex characterization of this eerie and disturbing character stayed with me long after I finished the book. 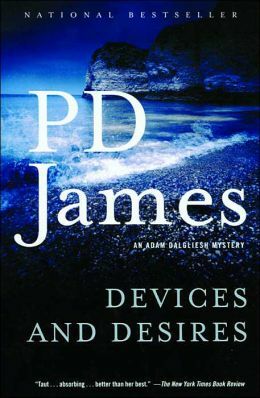 Devices and Desires by P. J. James made me want to write a mystery that had the richness of a classical novel. Like the best mysteries, the book hooked me with its opening sentence: “The Whistler’s fourth victim was his youngest, Valerie Mitchell, aged fifteen years, eight months, and four days, and she died because she missed the 9:40 bus from Easthaven to Cobb’s Marsh.” The book has all the elements of an absorbing whodunit, played out against an atmospheric sense of place, the fictional headland of Larksoken, with its skyline marked by the ruins of an abbey and dominated by the Nuclear Power Station, and with fascinating and well-drawn characters, which makes it both a first rate mystery and a first-rate novel. Without these five stellar books (and numerous others) as my guides, I’d never have embarked on a career as a mystery writer. Gail Lukasik writes the Leigh Girard mystery series, which is set in Door County, Wisconsin.Kirkus Review said of Death’s Door: “Lukasik’s second (Destroying Angels, 2006) is fast-paced and literate, with a strong protagonist and a puzzle that keeps you guessing.” Publishers Weekly described her stand-alone mystery, The Lost Artist, as “commanding our interest until the final page.” Lukasik began her writing career as a poet. Her most recent book of poem is: Homeless, In My Own Words: True Stories of Homeless Mothers. Her website is: www.gaillukasik.com. I’ve read and also admire all the books you chose to discuss. By the way, Sara Paretsky generously wrote the blurb for my first Five Star mystery THE INFERNO COLLECTION. It meant a lot to me. How did you manage to get Sara Paretsky to write a blurb for your first Five Star mystery? That’s quite a feather in your mystery cap.